Central Connecticut named former UConn star Donyell Marshall as its men’s basketball head coach and the move received plenty of well-warranted attention. We’ve captured some of the top related tweets and posted them below. Yo I’m late but congrats to my former coworker @Dmarsh42 for his new gig as head coach of Central Connecticut State! Handle it! He is certainly no stranger to basketball fans in the state of Connecticut. He’s also familiar with winning. 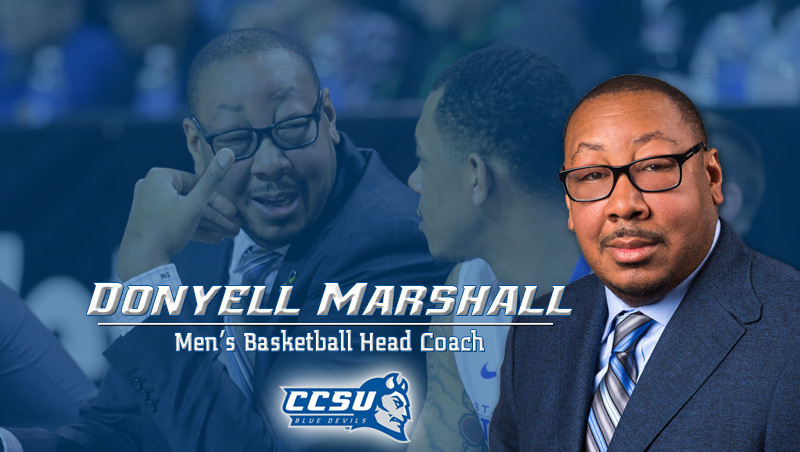 Donyell Marshall, who was a NBA Lottery Pick in 1994 after starring at UConn, is taking the reins of the Central Connecticut State men’s basketball program. In an introductory press conference on Thursday morning, CCSU welcomed the man who is stepping in for the legendary Howie Dickenman who retired this past March. Marshall seemed fully aware of the legacy left behind by Dickenman, who was an assistant coach for UConn before tipping off a remarkable run at Central Connecticut. “I’ve got tough shoes to fill with Coach D[ickenman] being as great of a coach and a person as he was,” said Marshall. Following a successful 15-year playing career in the NBA, Marshall served as an assistant coach at both the NCAA Division I and professional levels. Marshall most recently helped the University at Buffalo advance to the NCAA tournament for a second straight year in 2015-16. As a collegiate player in the early 1990s, Marshall became UConn’s first consensus All-America First Team honoree in 1994. The BIG EAST Conference Player of the Year for the 1993-94 season, he averaged 25.1 points per game and helped the Huskies win 29 games. Shane Morrell’s third goal of the night was the charm. The veteran attackman completed a hat trick by rattling the cage in overtime and sending Bryant to a dramatic 11-10 victory over National No. 2 Brown in Providence. 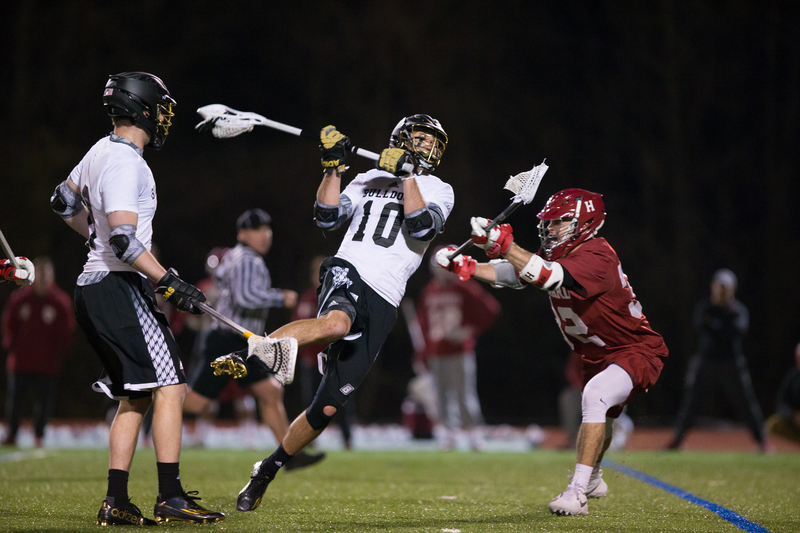 The Bulldogs trailed the unbeaten Brown Bears by a 9-6 margin with under 3:00 remaining in the fourth quarter, but rattled off three consecutive tallies within a 1:30 span to tie the score at 9-9. Brown jumped back in front on Larkin Kemp’s goal with 00:53 remaining, but Bryant would not let Ocean State bragging rights slip away. Junior Tucker James, who has delivered in key moments since his rookie season (SEE: 2014 NCAA Tournament at Syracuse), took a feed from Morrell and buried one into the net to re-tie the score 26 seconds later. The win over the Ocean State rival was Bryant’s second over a top-tier Ivy League member this season. The Bulldogs topped then-No. 7 Harvard on March 8 in Smithfield.